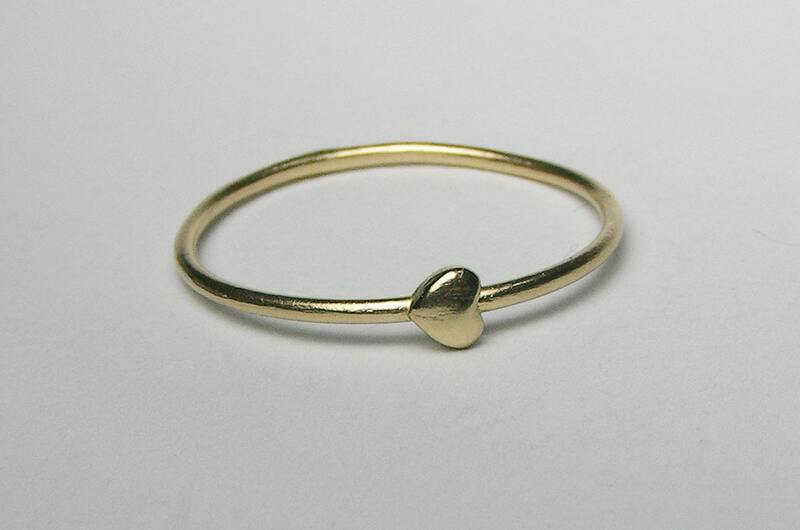 This listing is for 1 gold "tiny heart" ring. This is my third piece from jennifertullwestberg and I'm sure it won't be the last. 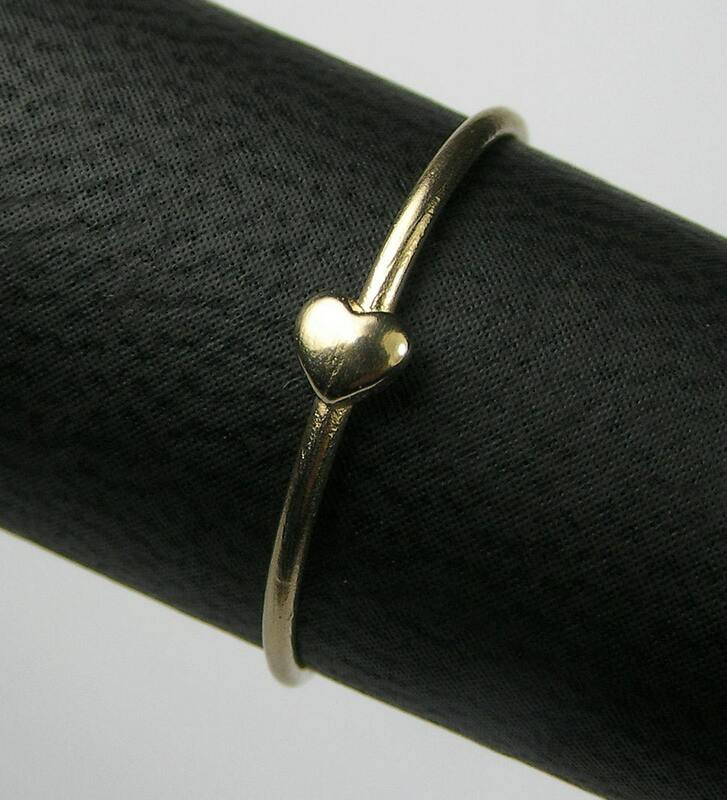 I ordered this ring in rose gold and it is just as simple and beautiful as the yellow gold one I ordered several months back. 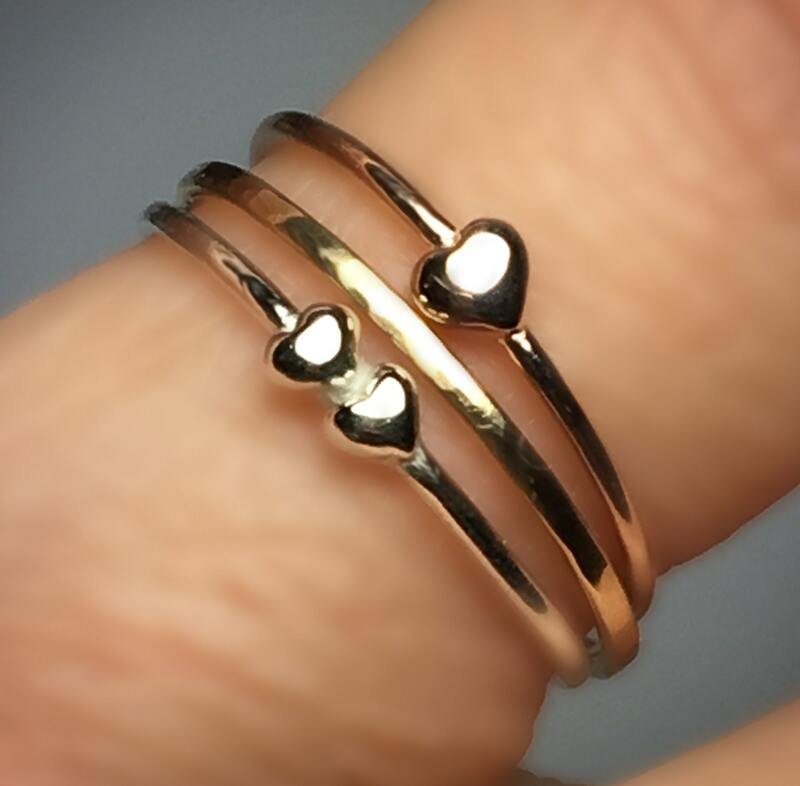 I am wearing them stacked with each other and I love how they lay and compliment one another. Jennifer is great to work with, incredibly responsive to any questions or requests and keeps you in the loop with the order status. Thank You Jennifer! Very cute! Arrived right on time before the holiday. Merry Christmas! I could go on and on about how much I love these rings and how great the experience was working with Jennifer. I will simply say that she was patient and understanding with my questions and delivered two beautiful pieces of jewelry. 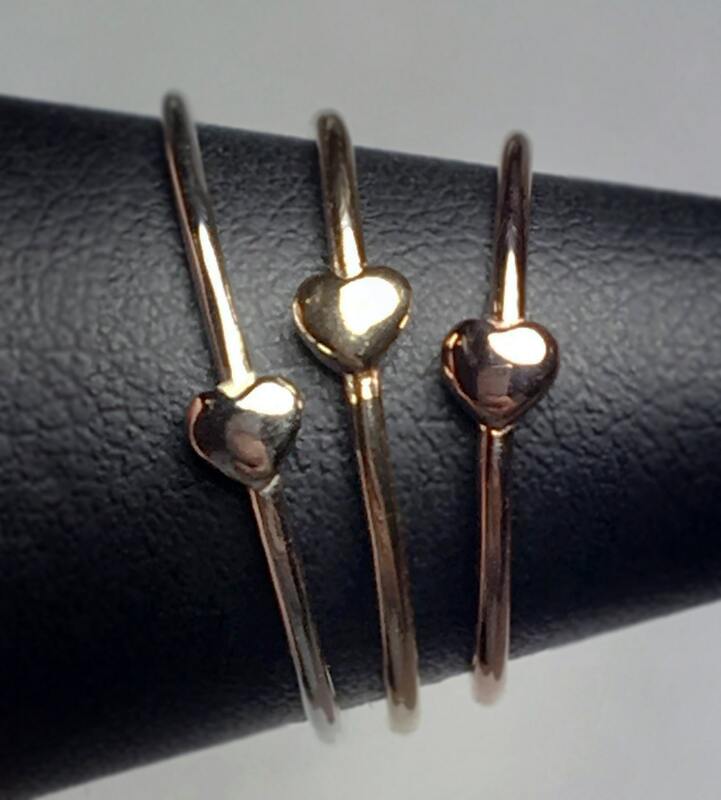 The scale of this gold heart ring is so sweet and dainty and the silver lucky number ring is versatile enough to stack or substantial enough to wear on its own. 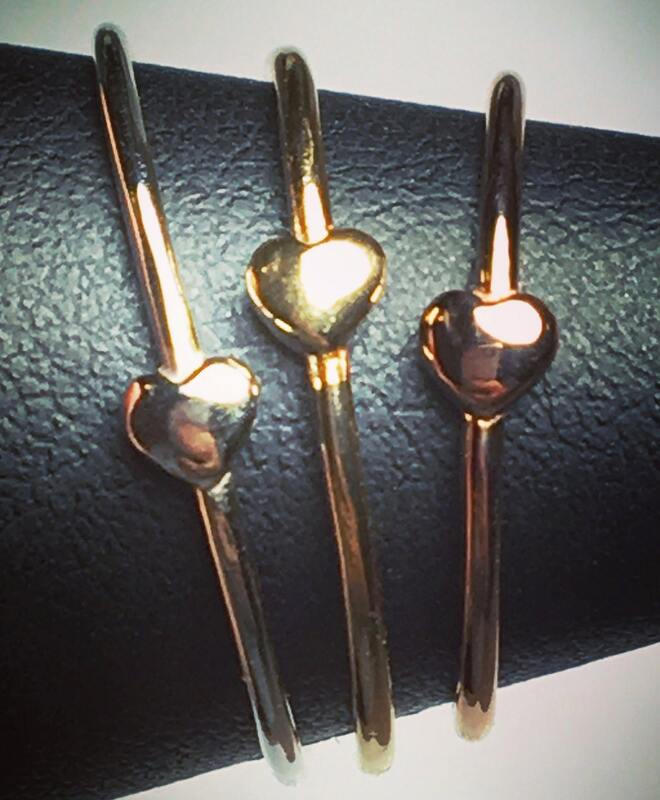 Both will pair with any other jewelry that you may wear. I love this ring!!!!!!!!!! It is so sweet and understated.